Bun wants to be rich and famous. She loves to sing and knows she's meant for a career on stage. It should all be pretty easy-her mom can just drive her to the concert hall to perform! But her mom reminds her that most good things, like the garden they are growing, take time and work. At first, Bun isn't terribly excited by the idea of singing lessons and practice, but as she does the math and daydreams about her future singing career, the more she starts to like the idea of earning her way to stardom-a feeling just as good as being rich and famous! Start reading Earn It! on your Kindle in under a minute. 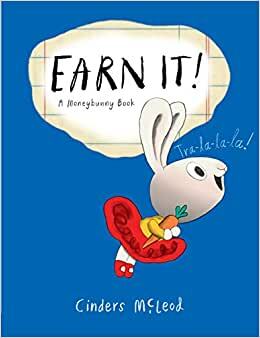 In this delightful introduction to the simple concept of earning money, an exuberant little bunny learns that fame and fortune must be earned. 5.0 out of 5 starsAdorable little girl bunny. This little character has so much potential for other books. She's a goal seeker and very energetic. She's so darn cute , you can't wait to see her on each page. Kinda like Olivia is fun . Very nice book , glad I purchased. 5.0 out of 5 starsA charming and effortless way to teach young children financial literacy! I wish this book had been in print when my daughter was little! The message is an important one: how money works, and how, like so many other life skills, it needs to be thoughtfully considered and practiced every day. Kudos to Cinders McLeod for envisioning a story, a character, and an effortless means of teaching young children that financial literacy is a necessary life skill. And the illustrations are charming and beautifully done. Can't wait to see more of this series! 5.0 out of 5 starsA charming new classic for kids! SO charming! 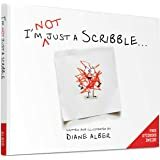 Beautifully illustrated with important lessons about money and life for kids, that parents will enjoy as well. 5.0 out of 5 starsThe perfect gift from every grandparent to every grandchild! This wonderful and useful book is the perfect gift from every grandparent to every grandchild!